CAC volunteer Ramón Voß talks about his experiences in Kabwe, Zambia with Intersport Youth Development. July 20th 2015. On Sunday night I finally arrived in Harare, Zimbabwe after 25 hours of travelling all the way from Germany. I did not really have any time to adjust or prepare myself for what was coming because after reaching the accommodation I immediately fell into bed and only 10 hours later I was standing on the pitch with my two colleagues. My first week in Harare passed by like a wonderful dream. On Saturday morning we packed our belongings and made our way to the central bus station to get on a bus to Zambia. Even though the trip from Zimbabwe‘s capital to Lusaka, Zambia took more than 10 hours, seeing and experiencing the beautiful landscape we passed compensated for an exhausting bus ride. After spending one night in Lusaka we took another minibus which brought us to our final destination for the upcoming week – Kabwe. Just seconds after the minibus dropped us off the program director of Intersport Youth Development – our partner in Kabwe – greeted us with open arms and without wasting any second planned and structured the upcoming week with us over dinner. The next day we started our work on the pitch. We had around 25 coaches attending our coaching sessions. As the week before in Harare, we started the day with a game called Circle of Friends. The purpose of the game is to get to know each other. We would make the start and perform an individual warm-up exercise inside the circle and when approaching the outside of the cirlce we would high five one of the participants and yell our name out load, and in exchange they would do the same. The reason why we would yell our names is, so everyone in the circle would be able to hear our names and the second reason is to encourage the particpants to use their voice. This method seems to be vital and key in terms of creating positive social impact in communities CAC works in. Every member of every community, regardless of their age, gender, class, sexual orientation, physical ability should be allowed to have a voice. A voice to express their wishes, needs, emotions, dreams, fears. On Wednesday afternoon we visited two of our participants and observed them coaching. 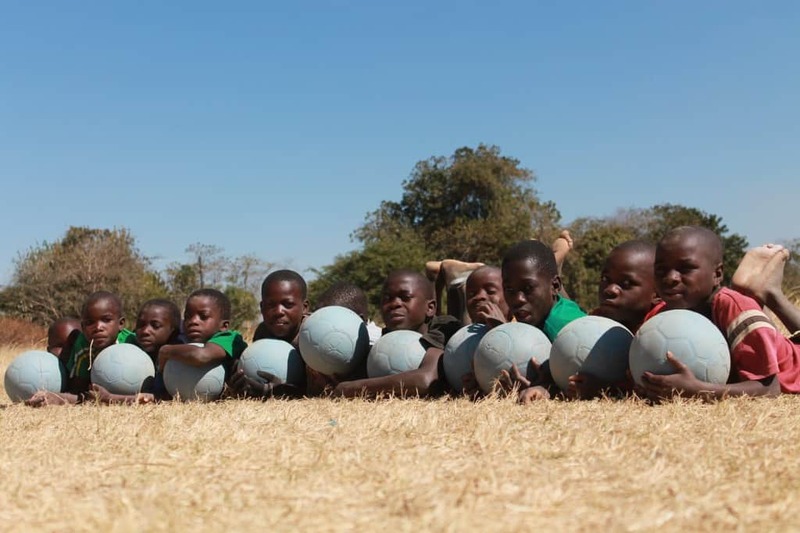 Dismus Pokuma and Patrick Mbao are in their early twenties and already took up the responsibility of coaching more than 50 boys and girls in their community in Kabwe. They started off their training session with Circle of Friends. The kids seemed to enjoy the game because they were allowed to yell – yell out their names, their favourite football teams and football players – without any authority telling them to be quiet or go somewhere else. 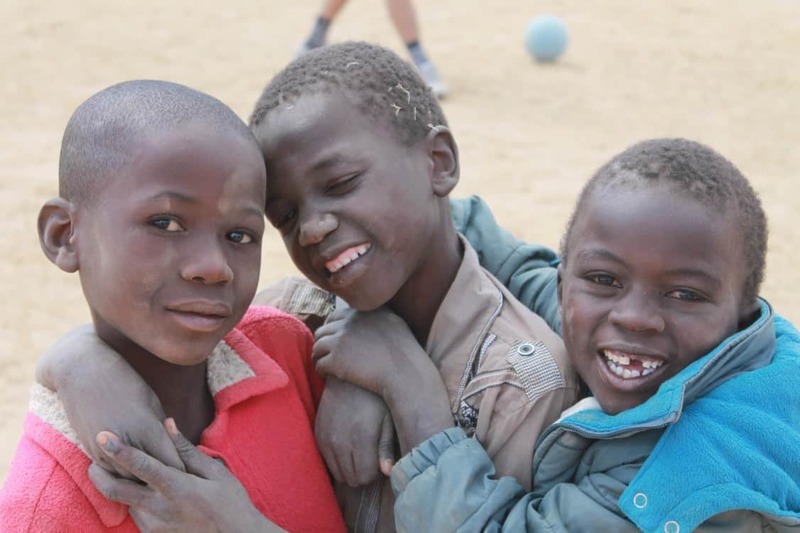 Since the group of children Dismus and Patrick were coaching was very large, they divided the kids into two groups to proceed with different social impact games we taught them over the course of the past three days. One of those games was Ronaldo for Conflict. It is a game that teachers players to solve their own conflicts and work in a team. Players have to run with a ball at their feet through a course of cones without touching the cones. In case a player would touch a cone with the ball, he or she would have to start all over again. The underlying message of this game is that making a mistake and cheating might look the same from the outside, but a mistake is being made without knowing that it is not within the rules, but cheating on the other hand is deliberately bending or ignoring the rules. Here in Kabwe all participants were honest, humble and encouraged everyone, even when one of their teammates had to start all over again. Before and after almost every game we coach we gather the participants and ask them if they can see the reason why we play that game and what messages and social impact it conveys. In my opinion and after being part of CAC for just two weeks, the most impressive games we teach coaches in participating communities are games about Child Rights and Gender Equality. When being asked beforehand if women or children should have the same rights as men, maybe 1/4th of the participants agree with the statement, but after playing the games and discussing the reasons for the game, almost everyone can understand why women and kids should not be treated differently than men and that a community is only as strong as their weakest link. By including every single member of the community, sharing knowledge, helping others in need, encouraging kids and women to be take part in the game of life, the community and eventually society grows stronger. Even if the group of coaches we are impacting is small, do not forget that those coaches will go back to their community and influence the next generation. Patrick and Dismas alone influence more than 50 kids with our social impact game, and this effect will trickle down to even more people. Social change will take time, but when we start now, we will see the fruits of our work very soon.